Did the Saudis really intercept missiles from Yemen? DUBAI, United Arab Emirates -- As with nearly every ballistic missile launched by Yemen's Shiite rebels targeting Saudi Arabia, the kingdom overnight said it intercepted all seven fired -- but online videos raise new questions about those claims. One video appears to show a Patriot missile launch on Sunday night go rapidly wrong, with the missile changing course midair, crashing into a neighborhood in Riyadh and exploding. Another appears to detonate shortly after being launched in the Saudi capital. Saudi Arabia's Information Ministry did not respond to requests for comment Monday from The Associated Press. However, the videos appear to show the kingdom being yet another country overstating the capability of the missile defense system, a tradition dating back to the 1991 Gulf War. "It's more likely that none of the missiles have been intercepted than it is that the Saudis have shot down any," said Jeffrey Lewis, a missile expert at the Middlebury Institute of International Studies in Monterey, California, who watched the videos and previously has studied other Saudi Patriot missile launches. Saudi crown prince reportedly said he has Kushner "in his pocket"
How will Saudi Arabia's crown prince change the Middle East? Saudi Arabia says it has been targeted by some 90 ballistic missiles launched by Yemen's Shiite rebels, known as Houthis, and their allies since launching a war against them three years ago. Sunday night's launch saw one Egyptian killed and two others wounded in Riyadh by a missile fragment, marking the first casualties in the Saudi capital since the war began. Previous rockets fired by the Yemeni rebels have caused deaths in other parts of the kingdom. 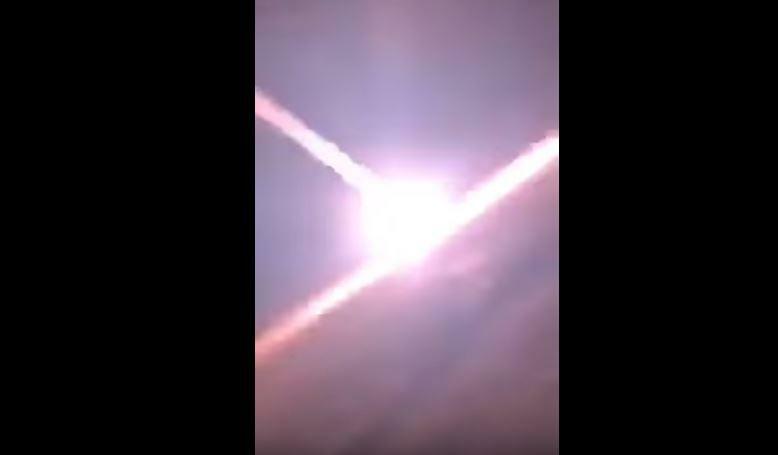 In another video circulated online, a just-launched Patriot missile suddenly changes course, smashing into the ground near a residential neighborhood (embedded below). The Saudi military did not acknowledge the apparent missile malfunctions. Saudi Col. Turki al-Maliki only said in a statement that "all seven ballistic missiles were intercepted and destroyed." Defense analysts say the Royal Saudi Air Defense Forces largely rely on Patriot PAC-2 missiles, a system developed in the late 1980s. Those missiles rely on so-called "blast fragmentation" to destroy incoming missiles, spreading over an area like a fired shotgun shell. Debris found from recent Houthi missile launches hasn't born any marks suggesting it was hit by such missiles, analysts say. The Houthi "Burkan," or "Volcano," missile used in attacks on Riyadh also have warheads that separate from the missile fuselage, making them even harder to hit. "The PAC-2 missile that it has had in its inventory since the 1990s was designed to intercept slower, shorter-range non-separating ballistic missiles and would probably struggle to destroy the Burkan ... after separation," Jeremy Binnie, an analyst at Jane's Defense Weekly, wrote in January. "The Patriot systems are really overmatched - the missiles that the Houthis are launching at Riyadh have a range of 1,000 kilometers (620 miles) and a separating warhead," he said. "I wouldn't expect any of the intercepts to succeed against a missile like that." Trump in November credited the Patriot missile system for hitting another Houthi missile over Riyadh, saying: "Our system knocked it down." However, Lewis and others also doubt any Patriot missile intercepted that rocket. The Patriot missile system came to fame during the 1991 Gulf War, which saw U.S.-led forces expel Iraqi dictator Saddam Hussein's troops from occupied Kuwait. U.S. officials initially claimed the Patriot destroyed nearly all Saddam's Scud missiles they targeted, though a later appraisal found the missiles only had a 9-percent kill rate. Over 10,000 people have been killed in Yemen's war, which began after the Houthis and their allies seized Yemen's capital, Sanaa, in September 2014 and began a march south. The conflict has morphed into a proxy war drawing in Mideast powers in the time since. It wasn't immediately clear how the coalition would react to Sunday's attack, though previous missile launches targeting Riyadh brought stepped-up Saudi-led airstrikes. Houthi leaders, marking the third anniversary of the Saudi-led war on Monday, warned Saudi Arabia against further airstrikes. "As we said before, if you stop your airstrikes, we will stop our missiles and if your airstrikes continue, then we have the right to defend ourselves in all available tools," Saleh al-Sammad, a Houthi leader, said in a speech before thousands gathered in Sanaa.